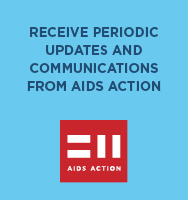 Supporting the work of AIDS Action demonstrates your company’s philanthropic commitment to the communities we jointly serve, and to our shared goal of ending the HIV/AIDS epidemic. We appreciate your support. Please contact jpotvin@fenwayhealth.org with questions regarding the work of AIDS Action, program support, or event sponsorship. AIDS Action hosts fundraising events throughout the year, generating more than $2 million in revenue for the agency. Corporate support for these events helps underwrite our expenses, ensuring that the funds we raise will directly benefit those in need. We are dedicated to helping our corporate partners achieve their community engagement and corporate philanthropy objectives. Let us work with you to customize your sponsorship package so that you achieve your goals while supporting this important cause. Helped AIDS Action to raise over $1M to fight HIV/AIDS and engage over 100K+ people in this cause. Taste of the South End brings together over 40 of the finest restaurants in Boston’s hottest culinary destination and an affluent audience for an exciting and upscale night of fantastic food and culture every March. Sponsors and guests alike partake in live cooking demonstrations and unlimited sampling of culinary creations by well-known, award-winning Boston chefs. Last year’s chefs included Kristen Kish of Top Chef fame, Joanne Chang, Andy Husbands, Gordon Hamersley, Jamie Bissonette, and Ken Oringer. Views complete overview of sponsor benefits, visibility, and event impact (PDF). The Bayard Rustin Community Breakfast maintains a tradition of commemorating and celebrating the life and work of Bayard Rustin, one of the unsung heroes of the Civil Rights Movement. Created by AIDS Action Committee 25 years ago, the Breakfast recognizes the roles of lesbian, gay, bisexual, and transgender people from communities of color in the fight against AIDS. The Breakfast is an inspiring event, drawing on the spirit of Bayard Rustin’s work in human rights, civil rights, and social activism. It is the longest-running event honoring Bayard Rustin’s legacy in the country. View complete overview of sponsor benefits, visibility, and event impact (PDF). AIDS Walk & Run Boston is an annual grassroots community event benefiting AIDS Action Committee of Massachusetts, New England’s largest and oldest AIDS service organization. For nearly three decades, thousands of dedicated participants have raised millions of dollars for AIDS Action’s innovative programs and services that are essential to maintaining the health of individuals living with the disease and preventing the spread of the epidemic. Just as important, the Walk also raises our awareness of the impact HIV/AIDS has on individuals, families and the community at-large, reminding us all that we must work together to stop the spread of HIV. View complete overview of sponsor visibility and examples of promotional collateral (PDF). $30,000 – Presenting Diamond AIDS Walk & Run Boston Sponsor – Exclusive Opportunity! The Annual Chandler Street Block Party is a Boston Pride tradition, drawing over 3,000 LGBT revelers and supporters to dance and socialize outdoors in the heart of Boston’s South End neighborhood. Proceeds benefit AIDS Action Committee and are also shared with local amateur LGBT sports organizations. ARTcetera is one of New England’s premier art auctions and an essential funding source for AIDS Action. This event brings together the arts community and AIDS Action in a celebration of our extraordinary partnership. We are all in this fight together to stop the epidemic by preventing new infections and optimizing the health of those living with HIV. ARTcetera will next be held on October 27, 2018.